THIS 2004 JEEP LIBERTY 4X4 AUTOMATIC IS AVAILABLE ON THE LOT HERE AT BURT'S DISCOUNT AUTOS. 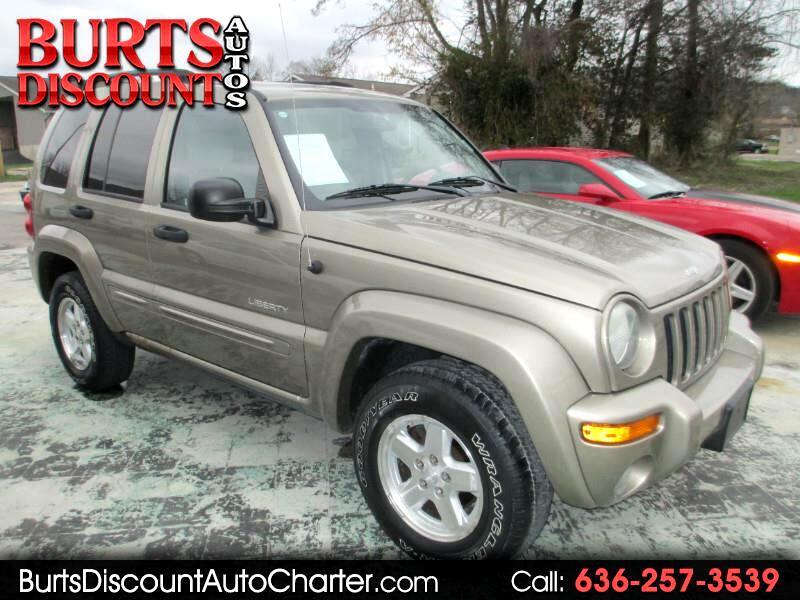 THIS JEEP LIBERTY FEATURES A 3.7L, 6CYL ENGINE WITH AUTOMATIC/4WD AND LOW MILES. IT IS SALE PRICED AT $4450 WITH ONLY 124K MILES.